IRONCAD is an intuitive 3D and 2D design solution that empowers engineers, increases productivity, and facilitates collaboration throughout the enterprise. Seamlessly mix feature-based design and direct editing within a part thanks to IRONCAD’s Innovative Design methodology. IRONCAD’s Unified Design Environment lets you create multiple parts in a single file. No more data management. Kickstart the design process with catalogs of predefined shapes that can be easily modified to create working geometry. Import and export all standard CAD file formats so you can leverage legacy data and collaborate across platforms. Enhance productivity with patented tools that let you intuitively resize objects and easily reposition any component. Build catalogs of modular parts that include engineering data so sales can create working designs in the field. 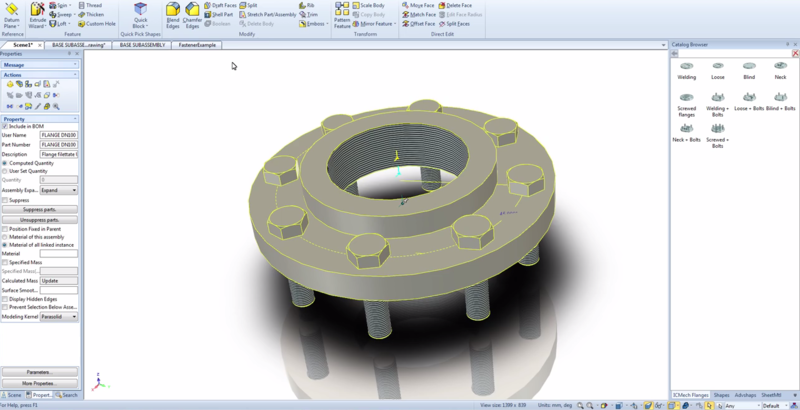 Watch what makes our CAD design software truly different in this introduction to IRONCAD’s unique design methodology. With the help of IronCAD, the delivery time to our customer is even shorter from an already fast company! IronCAD is a model of efficiency. Once the sale department closes a deal, the same model they built as a concept for the customer can still be used.